For competition and high-rpm Big Block Chrysler/Mopar RB Series 413-426-440 c.i.d. engines , the Victor 440 has an all-new runner design that delivers maximum power from 3500 to 7500 rpm. 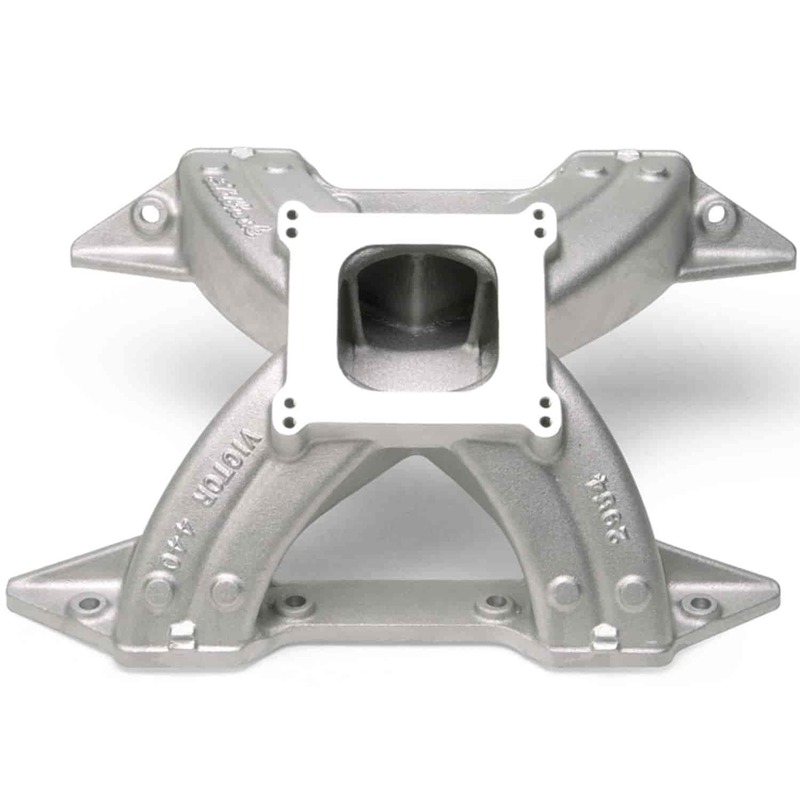 This single-plane intake manifold features dual carburetor bolt hole patterns for both standard and Thermo-Quad carbs, with sufficient carburetor pad material for conversion to a Thermo-Quad carburetor for Super Stock applications. Match this race-winning manifold with Edelbrock Performer RPM Chrysler 440 aluminum cylinder heads 350-60189 or 350-60929 for maximum performance. The Edelbrock Victor Series Intake Manifolds for Chrysler/Mopar powered applications are designed to produce high RPM competition proven results. The engineers at Edelbrock worked along side racers and top engine builders to design these cast aluminum, single-plane, straight runner, high-rise intakes for maximum power at high engine speeds! Match the cutting edge technology used in these intakes with Performer RPM or Victor cylinder heads on your race engine to produce the best results! ! Designed by JEGS professionals so you get all the parts needed.